Em pé temos Clara Balzary, Peter Baumann e Alex Niemetz e sentado está Dan Lardner. Em abril deste ano eles lançaram o primeiro EP homônimo. E o que podemos dizer é que ele passou no nosso teste auditivo de controle de qualidade. A voz grave de Dan Lardner, o suave backing vocal da Alex, as letras fortes e a harmonia dos integrantes fazem com que valha a pena dar uma boa escutada no trabalho da banda. “Catacombs”, “Was That a Joke” e “Feels like a Lifetime” já são recomendadas pela equipe deste humilde blog desde já. Mesmo com pouco tempo de carreira eles já tocaram com muitas bandas da Big Apple e ganharam o reconhecimento da mídia da costa leste americana. Eles foram nomeados pela L Magazine (importante revista de cultura) uma das 8 bandas para se conferir o show. Tivemos o privilégio de conversar com a banda que nos contou como tudo começou, sobre a gravação do EP e do futuro. FRS: A banda surgiu em 2010 quando Dan Lardner e Peter Baumann se mudaram para Nova Iorque, como Alex e Clara se integraram a banda? GR: Peter e eu nos mudamos para Nova Iorque em 2008 e começamos a tocar com a Alex e a Clara em 2009, mas nada sério. Alex foi a primeira pessoa com a qual me enturmei quando me mudei e a banda anterior dela havia terminado. Sei que Alex e Clara se conheceram em uma praia e começaram a conversar sobre a banda Smog ou algo do tipo. Não havia Grand Rapids antes, era nós quatro tocando juntos. FRS: Cada membro tem influências musicais diferentes, conte-nos sobre suas principais influências. GR: Particularmente tem algumas bandas e artistas que tem um significado maior para cada um, mas o que inicialmente nos uniu foram bandas como the Silver Jews, the Replacements, Pavement, e Television. Poderíamos listar milhões de bandas que amamos e que nos influenciaram de alguma forma, mas isso ficaria redundante. Gram Parsons and Jonathan Richman são muito bons também. FRS: Foi um processo fácil para encontrar um som que encaixaria perfeitamente com a banda? GR: Sim, muito fácil até. Nosso som é uma apresentação bem apurada de nós, é orgânico, não sei dizer qual som parece. Nunca conversamos sobre qual som nós deveríamos soar nós somos apenas o que cada um de nós traz nos ensaios. Ninguém dita o que o outro deve tocar. FRS: Como é a cena musical de Nova Iorque? GR: É estranha. 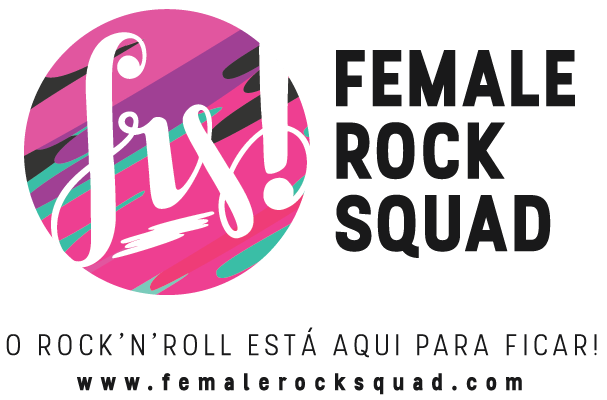 Têm muitas bandas desta região, um bom número das quais somos grandes fãs. Como banda, não estamos ligados a nenhuma cena, até onde temos conhecimento. Em qualquer cidade grande ótimas bandas passarão despercebidas e outras não tão boas receberão muita atenção. Existe uma exclusividade com cenas que tentamos entrar e nos distanciaram, mas há sempre um aspecto positivo também. FRS: Conte-nos sobre a gravação do primeiro EP lançado este ano. GR: Nós gravamos o EP no último mês de Janeiro em Los Angeles. A experiência como um todo foi muito divertida. Passar todos os dias com seus companheiros de banda também foi algo novo. Atualmente estamos trabalhando na gravação de algumas músicas aqui em Nova Iorque. FRS. Lemos em outras entrevistas que Dan disse que era difícil tocar em várias cidades porque todos têm outras atividades como faculdade e trabalho. Como a banda lida com isso? GR: Nós ainda estamos tentando conciliar isso. Clara acabou de se formar e seu trabalho como fotógrafa deixa ela muito tempo ocupada fora da cidade. Portanto temos que ser mais seletivos em relação aos shows que podemos tocar. De certo modo cada show que podemos tocar de fato é importante e relevante. No passado nos éramos um bando de idiotas. Nós estragamos muitos shows e não seguimos em frente, que foi bom até certo ponto, mas dói como banda. Ainda machuca quando não podemos tocar nos shows que gostaríamos isso provavelmente tem sido um dos grandes obstáculos como banda. FRS: Grand Rapids já tocou com Surfer Blood, Smith Westerns, Chairlift e muitos outros grupos. 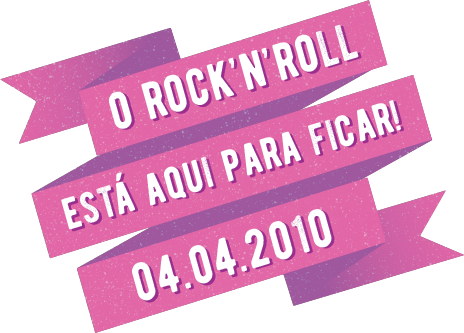 Com quais bandas Grands Rapids gostaria de dividir o palco? GR: Têm muitas! Nós gostaríamos de tocar com todas as bandas de novo. Algumas das bandas em turnê agora e que nós gostaríamos de tocar são Girls, Real Estate, Bill Callahan e Destroyer, mas essas são quase impossíveis. Em Novembro abrimos para Drums e para Eleanor Friedberger ambos shows foram sensacionais e nos divertimos muito. Tem algumas boas bandas locais das quais gostaríamos de tocar com mais freqüência, como So So Glos e Radical Dads. Vocês devem ouvir essas bandas." FRS: Em curto tempo vocês foram nomeados pela L Magazine uma das 8 bandas de Nova Iorque para se assistir, como a banda se sente com esse reconhecimento? GR: Nós gostamos de reconhecimento! Somos muito agradecidos por eles terem nos incluído, as pessoas da lista são algumas das mais legais. FRS: Se Grand Rapids pudesse escolher tocar em qualquer país do mundo, qual país seria? FRS: Quais são os planos da banda a curto e longo prazo? Grand Rapids released their debut self-titled EP last April. It's a truly masterpiece. We were very impressed by Dan Lardner’s grave voice, Alex sweet backing vocals, strong lyrics and harmony. The tracks that stand out the most are “Catacombs”, “Was that a joke” and “Feels like a lifetime”. Even on short career they have played with many bands in the BigApple and won the recognition of East Coast media. They were appointed by the L Magazine (important culture magazine), one of eight bands to check out the show. We had the privilege of talking with the band who told us how it all started on the recording of the EP and the future. FRS: The band was put together in 2010 when Dan Lardner and Peter Baumann moved to NYC, how were Alex Niemetz and Clara Balzary joined Grand Rapids? GR: Peter and I moved to New York in 2008 and started practicing and playing around with Alex and Clara in 2009, but nothing serious. Alex was actually the first person i became friends with when i moved and her previous band had just ended. My understanding of it is that Alex and Clara met on a beach and started talking about Smog or something. There was no Grand Rapids before it was the four of us playing together. FRS: Each member has different musical influences, tell us about your main influences. GR: As individuals there are bands and singers that mean more to one of us than others, but as a group what initially brought us together were bands like the Silver Jews, the Replacements, Pavement, and Television. We could list a million bands we love and that influence us in some way but that can get redundant. Gram Parsons and Jonathan Richman are pretty great though. FRS: Was it an easy process to find the sound that would suit the band perfectly? GR: Yeah, too easy probably. Our sound is a pretty accurate representation of us, it feels organic, no idea what else we'd sound like. We never had conversations about what we'd sound like or anything, we are just what each of us brings to the table. No one dictates what the other person plays. FRS: How is the music scene in New York? GR: It's weird. There are so many bands in the area, a good number of which we are big fans of. As a band we aren't really attached to any scene really, at least as far as we're aware. In any big city great bands will go unnoticed and less great bands will receive a lot of attention. There is an exclusivity with scenes that we try and distance ourselves from, but there are positive aspects as well. FRS: You've released your first EP, tell us about the recording process. GR: We recorded the EP live last January in Los Angeles in a few days. The whole experience was a lot of fun. Spending everyday, all day with your band mates was also something new. Currently we are working on recording a few songs here in New York. FRS: We read in other interviews that Dan said it was hard to focus on playing in several cities because the members have other acitivies like college and work. How does the band balance that? GR: We are still trying to figure it out. Clara just graduated from college and her work as a photographer keeps her busy and out of town a lot. As a result we have to be a bit more selective about which shows we can play. In a way every show we actually get to play feels important and significant. In the past we were just kind of idiots. We've fucked up a lot of shows and wouldn't really take any steps forward which was a lot of fun but kind of hurt us as a band. It still hurts when we cant play shows we'd like to though, thats probably been one of our biggest obstacles as a band. FRS: Grand Rapids has played with Surfer Blood, Smith Westerns, Chairlift and many other groups. Which are the bands Grands Rapids would like to share the stage with? GR: There are so many! We'd like to play with all those bands again if they'd have us. Some bands touring now we'd like to play with are Girls, Real Estate, Bill Callahan and Destroyer but those are all long shots. In November we opened for the Drums and for Eleanor Friedberger both of which were awesome and some of the most fun we've had. There are also some great local bands we'd like to play with more often like the So So Glos and Radical Dads. You guys should check those bands out. FRS: In such a short time you were named by L Magazine one of the top 8 NYC bands to watch, how does the band feel about this recognition? GR: We like recognition! We are very grateful they included us in that, the people over there are some of the nicest around. FRS: If Grand Rapids could choose to play in any country of the world, what country would it be? FRS: What are Grand Rapid's plans in short and long term? GR: Tour, record, marry rich. Que entrevista fantástica!!! Parabéns para as meninas que estão cada vez mais chiquérreimas! A banda é ótima, curti muito o som deles, vou começar a recomendar! O som é muito muito bom mesmo!!! Vale muito a pena escutar!!!!!!! Galera do Female tá com tudo e não está prosa! Muito boa matéria, bom saber que o blog está com um alcance cada vez maior. Show!! !